As the Designer and Manufacturers, the new Link² roller banner is the World’s first true light-weight affordable linking banner stand. 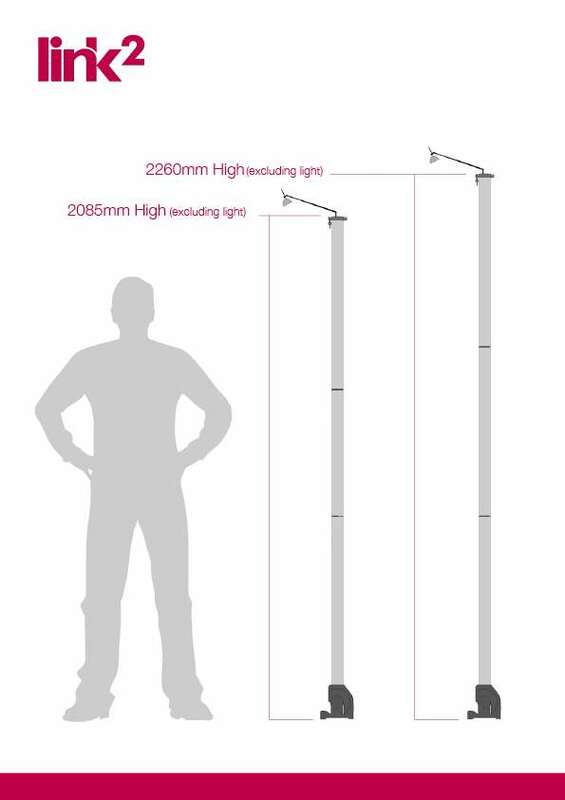 Available in both 2000mm and 2175mm heights, the Link² allows for unlimited banners to be seamlessly joined together creating professional, promotional and exhibition backdrops. Also, each Link² banner stand has interchangeable graphic capabilities, so for the first time customers can now change their own graphics with no fuss. 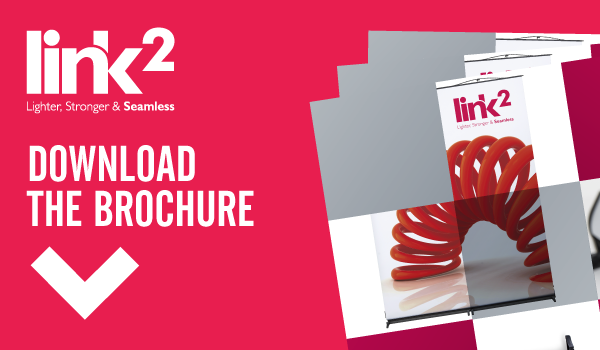 This means that customers can use Link² hardware indefinitely. Other advantages include a patented tension system that aids graphic alignment on uneven floors, integrated LED lighting and a flexible panel option making it ideal for shell schemes.